I am so excited to share this new partnership and project with you. 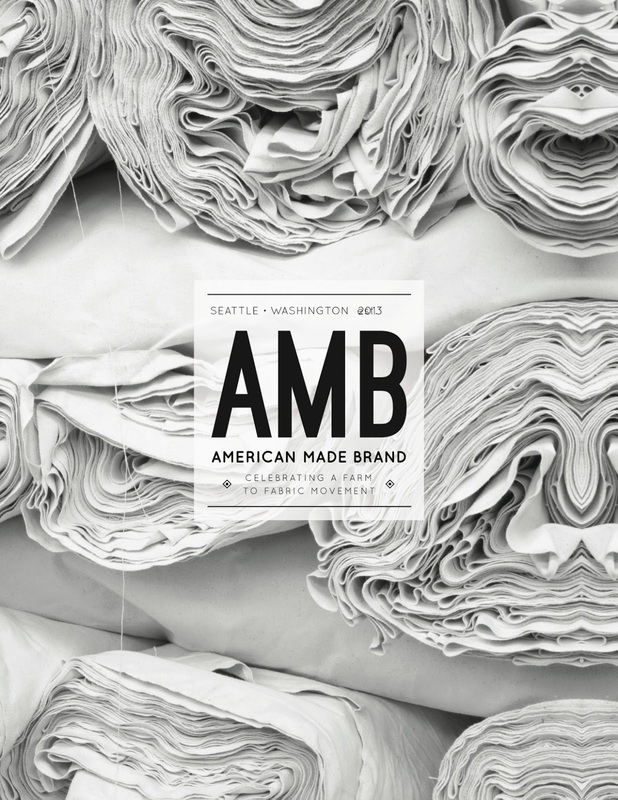 Clothworks Textiles, a fabric manufacturer located in Seattle, is producing a new line of solid cotton fabrics called American Made Brand that is made completely in the United States. The American Made Brand fabrics were created from the desire to tap into the once thriving tradition of American textiles to produce a fabric entirely sourced and manufactured in the United Sates. The cotton for AMB is grown in America, which is spun into yarn, woven into cloth, and finally finished as dyed fabric, all in America. I think that's pretty darn amazing. I'll be working with AMB to produce quilt designs, patterns, and finished quilts. I'll also be serving as one of the judges for their Farm to Fabric Challenge, a juried exhibition that will debut at the International Quilt Festival in Houston this fall. For more information on the challenge and exhibit, please visit the link above. I've also got some more fun projects with AMB up my sleeves that I can't wait to get started on! I had the opportunity to visit Clothworks when I was on the west coast last month, and it was so exciting to see and feel bolt after bolt of beautiful fabrics that were made entirely in the US. Owner Ted Hoffman and the entire staff of Clothworks have worked so incredibly hard to bring this dream to life, and I think the result was completely worth it. 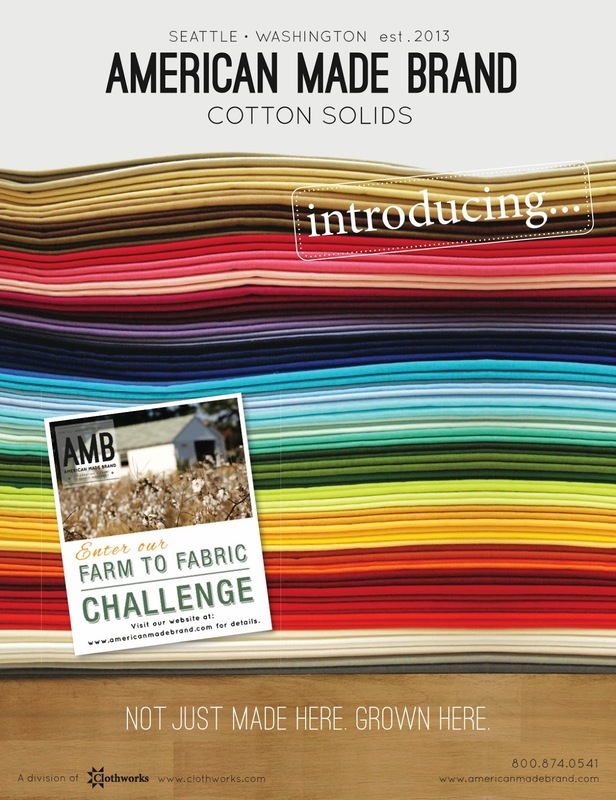 AMB fabric currently is available in 50 colors, with another 25 coming soon. The hand of the fabric is really nice and the colors are clear and beautiful. The quality of the fabric is really amazing as well, and it has a tight weave and a high thread count. I've already worked with it on a few projects for my book and I'm really pleased with the results. I'm hoping to have my first pattern featuring AMB available later this week, as well as a tutorial and giveaway in the next couple of days, too. As you may know, I live in Ohio, and farming and manufacturing have been an important part of our economy for hundreds of years. While we still have many farms here, their numbers are certainly decreasing, as are manufacturing plants across the state, which of course, ultimately leads to job loss and a declining economy. So, I am incredibly honored and proud to be part of a movement that helps strengthen both American farms and manufacturing. AMB will be available to purchase from independent fabric retailers this month, so be sure to look for it at your local quilt shops as well as at your favorite online stores. You will also be able to find a list of retailers on the AMB site after April 1, 2014. Read more about AMB brand on their site at americanmadebrand.com.